January 6, 2012 Events Comments are disabled after 182 days. Storm Troopers, Rebel Fighters, Wookiees and many more from the “Star Wars” universe are set to invade the inaugural Wildcat Comic Con, to be held April 13-14 on Pennsylvania College of Technology’s main campus in Williamsport. Two international fan organizations will dress as iconic characters from the movie series and present costuming workshops and discussion groups dedicated to “Star Wars” during the event. Representing The Rebellion (or the “good guys”) are the members of the Echo Base chapter of The Rebel Legion , an all-volunteer organization by, of and for people interested in creating costumes from the “Star Wars” mythos. From the “Dark Side” is Garrison Carida , of the 501st Legion “Vader’s Fist,” founded in May 1999. The Pennsylvania-, Delaware- and West Virginia-based group represents “Star Wars” fans who dress as such favorite characters as Darth Vader, Storm Troopers, Scout Troopers, Snow Troopers and Bounty Hunters. Each group will have a booth in the exhibit hall/Artist Alley during Wildcat Comic Con, where they will discuss all things “Star Wars”-related. They are also looking for recruits to join their organizations and will provide workshops during the show that will allow participants to research, create, build and improve their costumes in a place where people with similar passions share skills, tips and ideas. For more about the workshops, or to register for any of the other activities scheduled during Wildcat Comic Con, visit online . 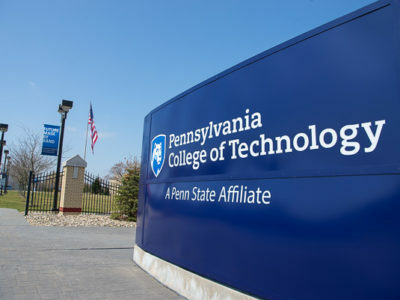 For more information about Penn College, visit on the Web , email or call toll-free 800-367-9222.